Why walk when you can roll? 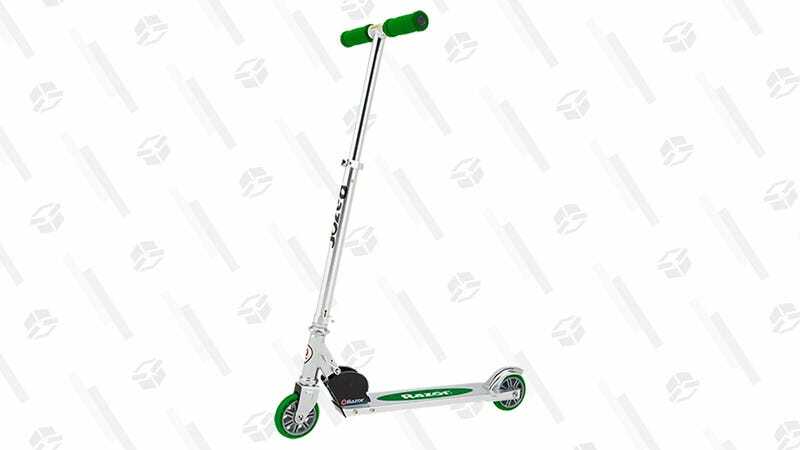 Razor’s A Kick Scooters have been a classic in the (non-motorized) scooter game for years, but today, the green version is just $23 over at Amazon, down from its usual price of $45. So scoot on over and snag one as a gift for the kid in your life — or for yourself, no judgement — before this discount speeds out of here.